In a previous article, we talked about how you can create a budget from scratch. Having a monthly budget to work with is the first step towards gaining complete control over your personal finances. The next step is, well, sticking to that budget. Staying true to the budget you make at the beginning of the month isn’t as easy as it seems. As you deal with expenses, juggle the bills you have to pay and work towards balancing your income, staying within the monthly budget becomes more and more challenging. Worry not because there are some things you can do to make sure that you don’t go over your budget at the end of the month. By taking the right steps, you can further optimise your personal finances and save at the same time. We are going to review the best tips and tricks to use in this article. 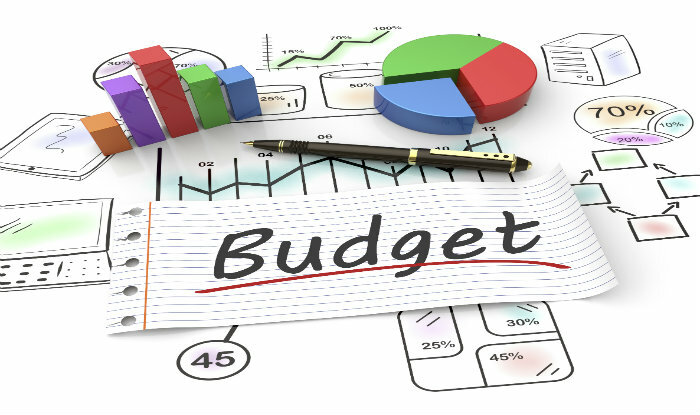 One of the most important things you need to do once you have a budget is making sure you can monitor your income and expenses using the budget as your guideline. When you write down expenses or do a recap at the end of the month, monitoring income and expenses is incredibly difficult; at the very least, it is difficult to have a real-time view of your financial state. Rather than doing things manually, use an app to help you. There is no shortage of expense tracking apps to use these days. Apps that can automatically reconcile your bank accounts or input expense data from a receipt are easy to find. More importantly, you can enter your budget to the app of your choice and have visuals (i.e. graphs) showing how you are doing at any point. When you first make your initial budget, you already have some expenses in mind. In most cases, you can plan for these expenses better. When you have expenses or bills due one or two days after your next payday, for example, it is actually better to save for those expenses rather than rely on the upcoming payday. A lot of things can go wrong when you rely on last-minute income. Your employer might be late paying in your wages or it’s a holiday weekend, and you could end up paying late charges and additional fees. The extra fees you pay will ruin your entire monthly budget by eating too much into your income. The goal here is creating a healthier cash flow. While this is not a goal you can always achieve immediately, having a clear budget and knowing which expenses to deal with give you the ability to plan better for them. You will have a healthier cash flow after two or three months once you start planning for your expenses better. Despite the meticulous budget you have, emergencies and unexpected expenses can still throw your personal finances off balance. If you already have emergency funds in place, dealing with these unexpected expenses should not be a problem. If you don’t have emergency funds set aside, however, knowing how to best fill the gap in your budget is crucial. There are financing options to turn to when you have gaps to fill until the next payday. Deciding which one to use is a matter of finding a suitable solution that is both cheaper and better than dealing with late charges and fees. Personal loans with low-interest rates are handy tools to have, and you can use personal loans from Everyday Loans for anything from an emergency to other short-term needs. This company has branches throughout the UK, meaning you can call them up and speak to them directly before applying for anything. Bigger expenses that are beyond your budget are easier to deal with. Since they are relatively big, you tend to be more aware of spending your money on those expenses. Finding a deal on a new smartphone, for instance, is less likely to lure you into going over your monthly budget, especially when you know you will have a lot of catching up to do after making the purchase. Small expenses are the ones you need to worry about. Spending an extra £2 on a cup of coffee and an additional £10 for some snacks on your way home from work may not seem like much, but you can still spend a large chunk of your income without even realising at the end of the month. That brings us to the first tip we discussed earlier: use an app! Having the ability to monitor your income and expenses in real-time means you have better control over your personal finance, and you can choose to avoid these (unnecessary) small expenses without a problem. These tips will help you stick to your budget and keep your personal finances under control. It won’t be long before you start seeing a better, healthier cash flow. At that point, you can save more, invest more, and generate more income in return.